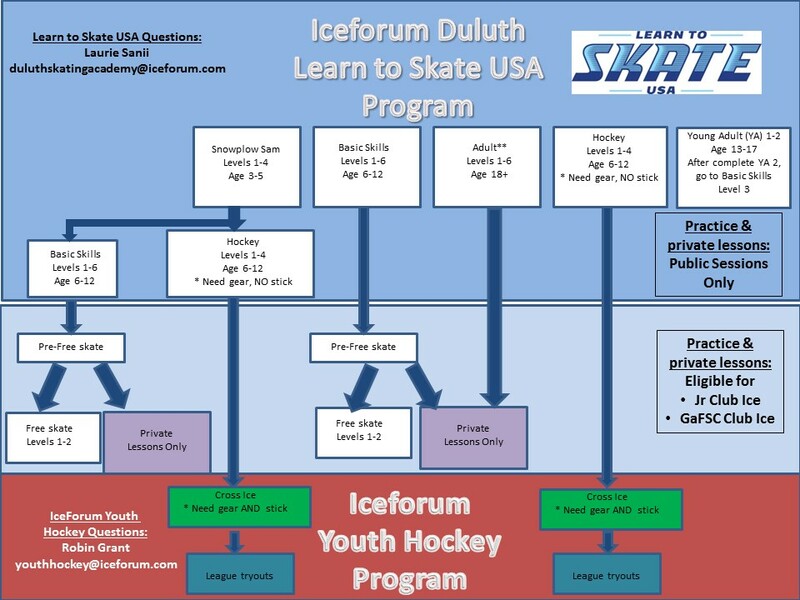 Welcome to IceForum Duluth Skating Academy! We're excited to help you learn to skate! We offer 8-week semester classes for tots, kids, and adults year-round, offering the Learn to Skate USA program of United Skates Figure Skating (USFS). To get started, you will first need to choose your skating package. 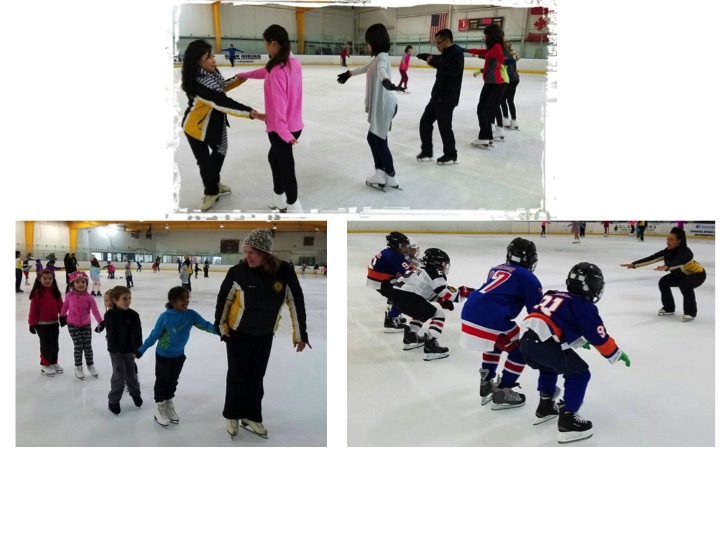 We offer a variety of skating academy packages, ranging from one group class a week to two group classes a week with eight (8) 15-minute private lessons. 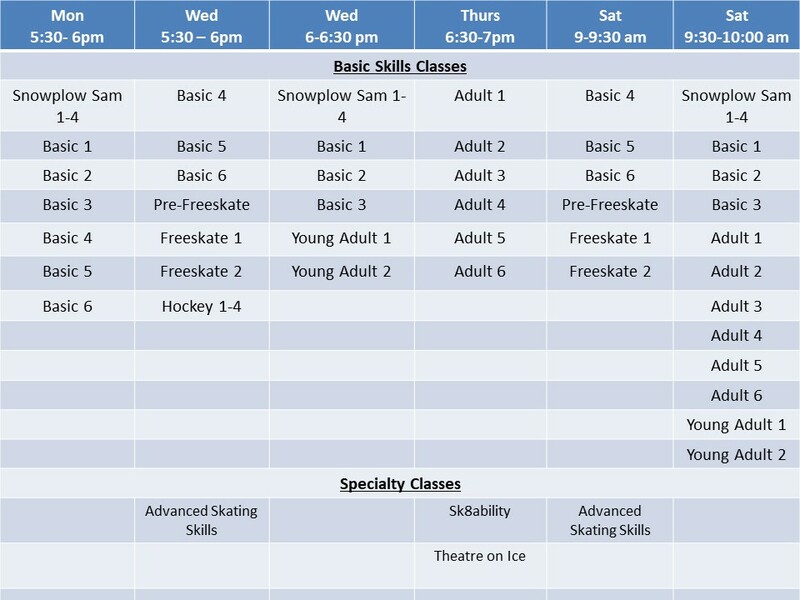 After you've chosen your skating package, then you can decide what day(s) you'd like to enroll. If you choose a package that includes additional private lessons, the Skating Academy Director will set you up with a private lesson coach, or you can select a coach yourself by directly approaching them. When you register at the front desk before the first Monday of any semester you will receive a $5.00 discount! Check out photos and video of our Skating Academy Facebook and Instagram! Please e-mail the to set up your Silver Medal or Gold Medal Package private lessons. There is an additional $32 for skate rental for the entire semester if need to rent skates. All Skating packages offered include UNLIMITED public skating during the 8-week semester. When purchasing a class package at the front desk, you will be given a class card. This class card MUST be presented to each class you attend. If you do not present your class card, you can purchase a replacement card for $5.00. After registering online, you will need to print your payment confirmation and bring it to the rink, where you will need to fill out the class card above. Again, if you do not present your class card, you can purchase a replacement card for $5.00. Skates can be rented for the entire semester for a one-time fee of $32 for the semeter. This includes skate rental for either public sessions or for classes during the entire 8-week semester. Those interested in purchasing skates in our pro shop must first schedule an appointment for a foot measurement/skate fitting with coach . After Ellen measures the skater's feet, she can recommend a model and size suitable to the skater. If we have that skate in stock, the blades can be sharpened in our pro shop for free for the first sharpening ($10 each time after that) and the skater can leave the pro shop with their new skates. If we don't have the skate in stock and have to place an order, expect to wait 10 days to 2 weeks for the skates to arrive. When the skates arrive, contact Ellen again to schedule a time to do a fitting with the new skates to make sure they are a good fit. All current Skating Academy students receive a 10% discount on skates purchased in our pro shop. Skates purchased in our pro shop will be at least $100 and be good quality skates that give the skater proper ankle support that will help prevent injuries that cheaper, 'floppy' boots from sporting goods stores. If you are not ready to make the financial committment, we highly recommend renting skates until you are ready to purchase. Never let your skate blades come into contact with anything other than ice, or the black rubber matting at the rink. Otherwise, you will get nicks on your blade that will make it harder to glide on the ice. 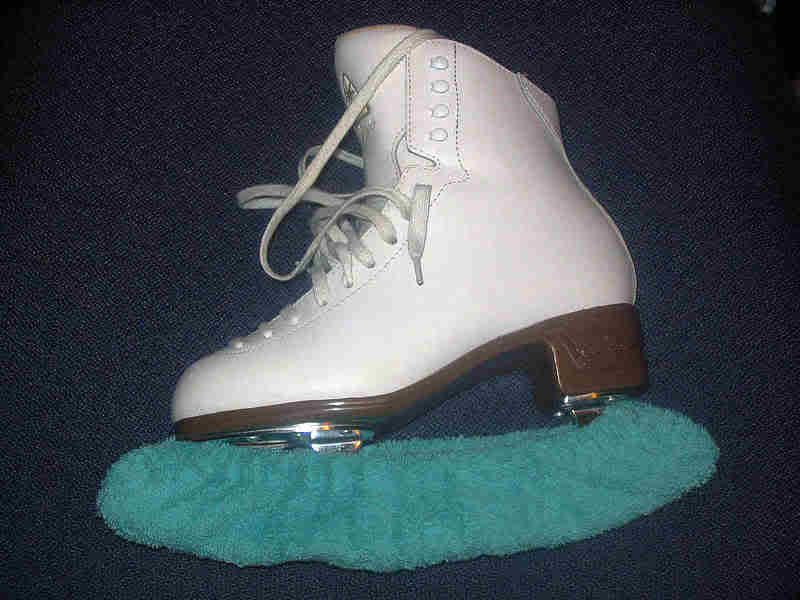 After each skating session, use a soft towel to dry off both your boot and blade. Use 'soakers' (which can also be purchased for $7 in our pro shop) to keep your blades protected and dry when not in use (see image). The cost for homeschoolers is $5.50 (instead of the regular $10 admission), and includes skate rental for each homeschool child. This pertains to the homeschool child only, anyone else who would like to skate the price is $12.00 per person including skate rental. Homeschool skating session is on the 12:30- 2:00 public session.